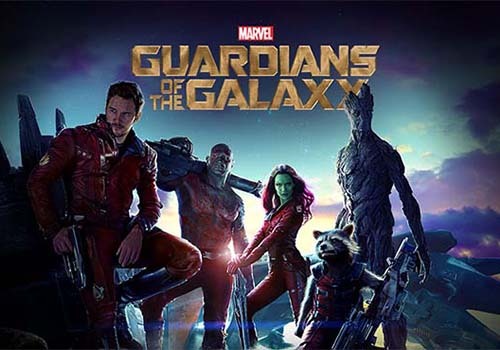 If you can imagine Hollywood heartthrob Bradley Cooper as a wise-talking raccoon, a green-skinned assassin portrayed by Zoe Saldana, or even Vin Diesel as a monosyllabic tree, then you’ll have little difficulty in understanding the runaway appeal of Guardians of the Galaxy. For a relatively obscure comic book within the Marvel Comics universe, the bickering and dysfunctional team of unlikely superheroes has become the most talked about movie blockbuster of the summer. The success of the film in its opening weeks seems to suggest that Millennial movie goers like their superheroes more quirky and less angst driven and clenched-jawed than previous generations — and that the likely franchise will go a step further in taking the world of comics from geekdom to mainstream appeal. It’s a cultural shift noted by Barnes & Noble College in their ongoing social communication with students. The advance publicity and buzz surrounding Guardians of the Galaxy had a strong reliance on social media and, with Marvel Comics seeking a wider reach on college campuses, an irresistible opportunity presented itself to deliver some fresh, relevant and involving content to students. “Our Trade Books department had gifted two collectors’ slip-covered editions of Guardians of the Galaxy: Art of the Movie,” explains Barnes & Noble College Social Media Specialist, Sandra Webb. “And as we had scheduled an exclusive interview with the Editor-in-Chief of Marvel Comics, Axel Alonso, it seemed a perfect social opportunity,” she adds. 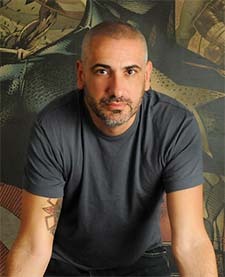 Marvel Comics Editor-in-Chief Axel Alonso. Mindful of the informational needs of Barnes & Noble College’s social followers, Webb developed some interview questions with summer interns, Chloe Leach and Dan Halpern, who would be conducting the discussion with Marvel’s Alonso. Any follower who re-tweeted the resulting interview would automatically be entered into the sweepstakes to win the special edition books. “We didn’t want the questions asked to be purely about the movie,” Webb explains. “We wanted Mr. Alonso to also talk about his career path and offer advice to college students who are preparing for their own careers,” Webb explains. With roots dating back to the late 1930s as a comic book publisher, many of Marvel’s well-known properties have since found their way successfully onto the big screen; Spider-Man, X-Men, Wolverine, the Fantastic Four, Iron Man, the Hulk, Thor and Captain America. As the Editor-in-Chief, and following in the footsteps of such comic greats as Stan Lee, the exclusive interview with Alonso was an opportunity for students to learn more about his work experience and stewardship of the Marvel brand. “We saw the interview as a really great way to ignite interest in the sweepstakes — but also as an opportunity for students to learn more about graphic novels,” Leach points out. “Marvel characters endure because people can relate to them,” Alonso told the interns. “If you take a look at the biggest Marvel characters, their interior lives are every bit as dramatic and fascinating and appealing as their super-hero lives,” he added. “He gave us such great answers for everything we asked,” explains Leach of her interview experience with Alonso. Her co-interviewer Dan Halpern was similarly impressed. “He really loves what he does and he’s so passionate about the world of comics,” he says. 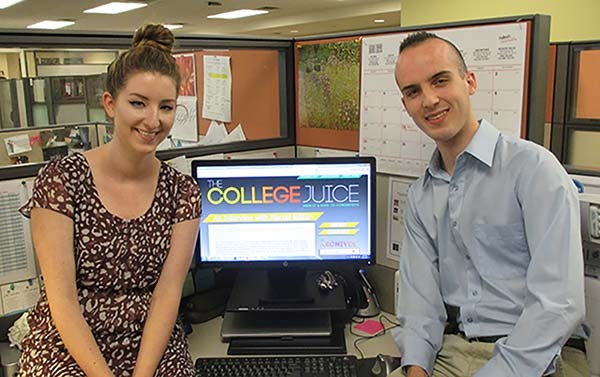 Barnes & Noble College interns Chloe Leach and Dan Halpern. Both recently interviewed Marvel Comics Editor-in-Chief Axel Alonso about the summer block-buster “The Guardians of the Galaxy,” his life-long love of comics, and his college and career path. It was advice the Barnes & Noble College interns found particularly relevant, given their summer with the company. “It really has been a great experience and given me a valuable insight into learning about business,” explains Halpern, who is a rising sophomore at Emerson College and majoring in publishing. Leach, who will soon be graduating from Penn State agrees. “This job has helped me appreciate all the elements that go into building a successful company,” she says. “There are so many talented people here who love what they do, and who work hard to constantly improve and innovate,” she says. Guardians of the Galaxy: Cosmic Avengers is available at all Barnes & Noble Superstores and selected Barnes & Noble College bookstores, and you can read the entire interview with Marvel Editor-in-Chief Axel Ansole on The College Juice, here.